You’ve heard the stories where people have related how they felt led to do something; where they made calculated decisions based on a pre-figured series of events that ultimately brought them to where they are…well, that’s not my story. The teaching part came quite accidentally when I was 15. While playing with the Toreadors (a Jr. Drum & Bugle Corp.), one of our snare drummers was unable to attend all the sectional rehearsals. After each evening’s practice I would memorize all the new parts, get dropped off at my friend’s school, and show the parts they had missed. It wasn’t my idea at all, teaching others was never on my radar. One of my instructors asked me to do this, and even though I wasn’t sure of my ability to teach, I knew I wanted us to do well as we competed in New England. So I showed up twice-a-week, and this went on for several months. And it was a lot of fun, too. I had a great time hanging out with my friend, and it also helped to reinforce what I was learning. In many ways teaching really assisted in me becoming a better drummer. I liked being able to share what I knew with another person who really wanted to learn. It also opened my eyes to the power of giving. I felt special that I could do something for someone else in a way which assisted in their ability to play well. It was empowering! Later in life, a lady approached me about teaching her 10 year old son after watching me play in a rock band. She asked if I could teach him how to play on the drum set. I remember thinking to myself, “I guess I know a little bit more than he does. I’ll give it a shot.” Again, I wasn’t seeking to teach – it sort of found me. And I learned so much from those first lessons. I had no books, no idea of where to start – I only had a caring attitude and a desire to help this young kid. I quickly learned that when teaching there’s so much more that needs to happen than just showing someone how to drum. I discovered that the relationship was an important part of gaining results, and what I was showing wasn’t as important as how I showed it. As far as motivation goes, I’d like to start with what it’s not (or at least, what it shouldn’t be about). When teaching, our motivation cannot strictly be about making money. I know many teachers begin teaching as a way to supplement their income, and there’s nothing wrong with that – so long as it all begins with a caring heart and a positive relationship that helps to open the doors of learning to the student. If we start with these basic ideas everything else has a better chance to fall into place. 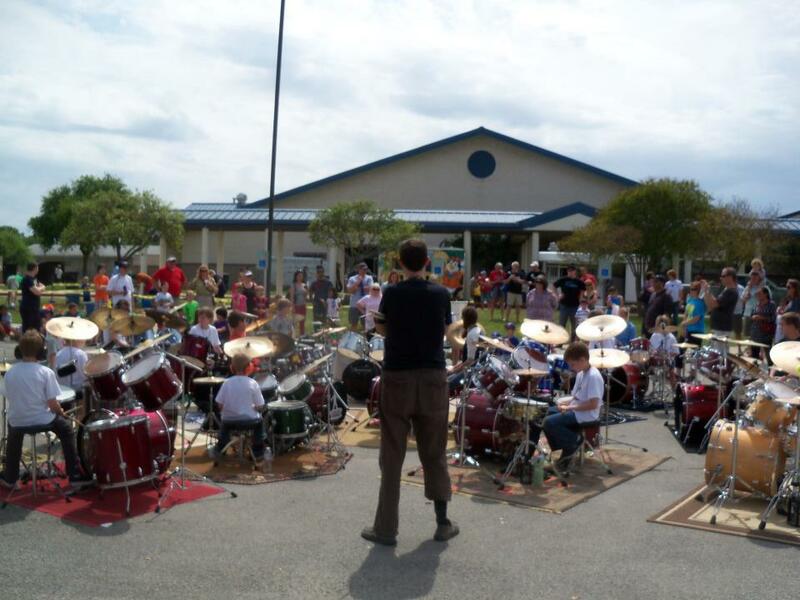 We need to remember what it was like when we were kids, and be the drum instructor we wish we had! Concerning theory, I’ll say this: Everything we do and how we do it impacts others. Our students watch (their parents, too) what we do and how we relate while teaching. If we truly care about what we’re doing, and about each student, the results will follow. It’s an interesting thing to work with people of all ages, abilities, and personalities. I’ve found it’s when I’m listening the most, and paying close attention to the uniqueness of each student, that I’m best able to be the Drum Coach I need to be for THAT student. My “style”? I think it’s my lack of style that helps me to teach well. When I meet a student and their family I’m just who I am – nothing more, nothing less. 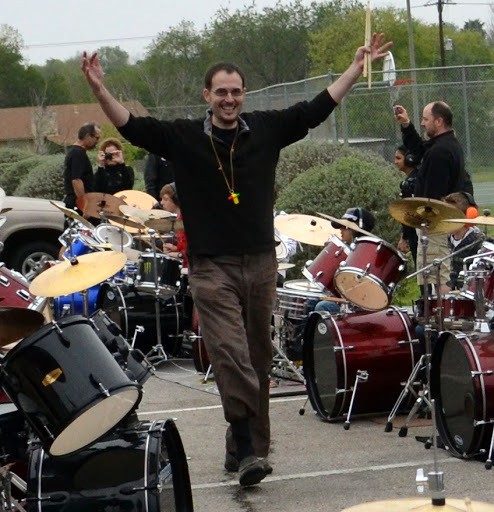 I consider myself a goofy-guy who loves many things, including drumming. And kids are quick to pick up on our genuineness. Being kind and showing a real interest are key to starting a functional student/teacher relationship (for both kids and adults, too). I really try to hang out with each student and get to know who they are, and what makes them tick. Making those experiences fun and authentic all help to create an atmosphere of extreme learning. We’re planting seeds of ability, cultivating creativity, and helping ideas to grow into full blown expressionism. Our ability to nurture and encourage what is already their is our greatest deed. And it all begins with truly caring about each student, no matter where they might be in their journey to learn. The teacher/student relationship is vitally important. In my experience, the drumming and music have little chance without establishing that relationship. And wonderful things continue happening for our students. We just finished touring with my students as they wonderfully performed drum solos, duets and played as a group (of up to 35 full drum kits) at various locations around town as part of our Spring Concert Series. I’m excited to share that we’ve recently teamed up with the Music Shack Studio where several of my students will be playing in student led bands during their Spring show in Austin. I’m also currently working with the advanced tap dancers at The Dance Gallery writing the “Dueling Drum Dance” where I’ll be performing with some very talented young ladies at the Performing Arts Center (PAC) on June 5th & 6th. And finally, we’ll be recording for the London based DrumOff TV DVD project this Summer where I recently won a spot as the very first DrumOff TV “30-Second-solo” soloist. And yes…I’ll also be teaching as well. Click here to find out more about Round Rock Drums. Have you taken drum lessons? 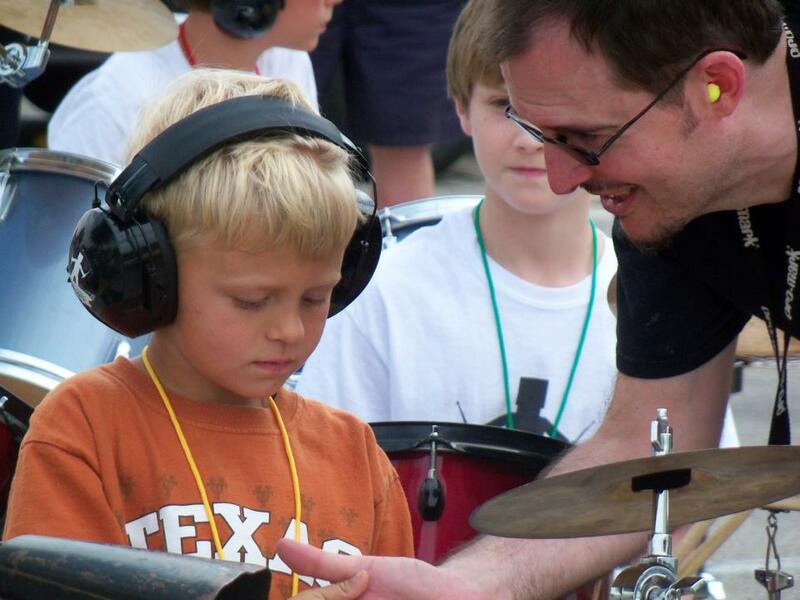 What did you like or dislike about your drum teacher? Leave a comment to start a conversation!